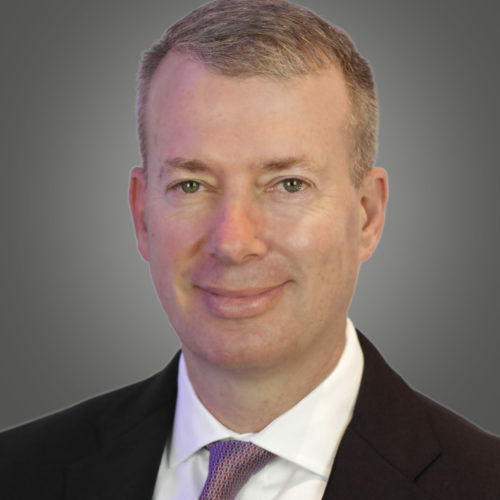 President and CEO, Private Client Group, Raymond James & Associates, Inc.
As President and CEO of Raymond James & Associates (RJA), Tash Elwyn supports the financial advisors in our employee Private Client Group (PCG) as well as the firm’s PCG Education and Practice Management Group. Named President & CEO of RJA in 2018 and serving as RJA PCG president since 2012, Elwyn also was divisional director, senior vice president of the Atlantic Division of RJA for five years. In that role, he devoted his energies to attracting new advisors to the firm and supporting advisors’ growth plans and adoption of best practices. Elwyn began his career at Raymond James in 1993 as a financial advisor trainee out of college. After building a successful practice, he became an assistant branch manager in Atlanta and subsequently a branch manager in Chattanooga. He serves on the Raymond James Executive Committee, Board of Raymond James Investment Services Private Client Group, Board of Raymond James Bank and as the executive sponsor of the Raymond James Diversity and Inclusion Advisory Council. A graduate of Emory University in Atlanta, Elwyn has continued to be active with the school throughout his career. He is currently on the Emory College of Arts & Science Dean’s Advisory Council, and has served on the Emory Board of Governors, the Emory College Alumni Board and the Alumni Admissions Network, and as a mentor in the Emory Career Network. He is also an alumnus of the Securities Industry Institute, and completed the Strategic Thinking and Management for Competitive Advantage program at the Aresty Institute of Executive Education at Wharton. He attended the Darden/SNL Executive Program in Bank Financial Leadership at the University of Virginia and was a member of the 2016 Florida Executive Leadership Program. Recently, he attended Harvard University’s Executive Education Corporate Level Strategy Course and Finance for Senior Executives Course. A native of Boston, Elwyn grew up in Stone Mountain, Georgia, and today lives in St. Petersburg, Florida, with his wife and two children. He is active locally in the University of South Florida Corporate Mentor Program, the St. Petersburg Area Chamber of Commerce and the Pinellas Education Foundation. Elwyn also serves on the Invest in Others Board, an organization focused on recognizing advisors and firms making a difference in their communities. Follow Tash Elwyn on LinkedIn and on Twitter at @TashElwynRJ.